Children are naturally curious, inquisitive and playful. There is a reason for this – it is how they learn. At Shere we believe in embracing and harnessing children’s creativity, taking playful learning experiences to a new level through careful planning and facilitation. At Shere we believe that the process of learning is as important as the product. By this we mean that the way a child went about drawing a picture is as valuable as the picture itself. 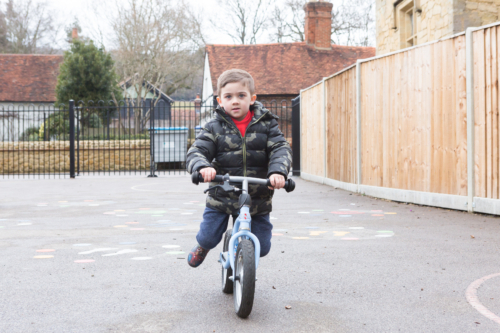 We involve children in the process of learning and encourage them to be active participants in their journey. A mastery curriculum enables children to have such an in depth and thorough understanding of key learning concepts that they can confidently apply their knowledge and skills to a wide range of situations and problems. We also call this deep learning. Mastery takes time! At Shere we will not rush through schemes of work or teach too much too fast! A holistic education is a craft and if its worth doing its worth doing properly. We appreciate that children like to have a say in what they learn and how. We call this child steered learning. Our holistic curriculum includes supporting children by offering a moral guide as they grow and develop. Our school focuses on six Christian values that will help children fully engage in a loving community. The introduction of whole school topics has made learning more memorable, exciting and playful. The whole school studies the same topic with increasingly challenging objectives in each year group. 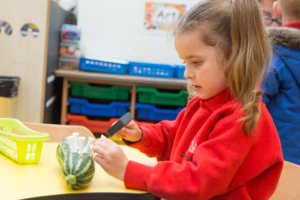 Each whole school topic is carefully planned to ensure children experience a wide range of activities, receive direct teaching of subject specific disciplines and have opportunities to practise and master new skills. Real learning, attentive, real learning, deep learning is playful and frustrating and joyful and discouraging and exciting and sociable and private all at the same time, which is what makes it great!